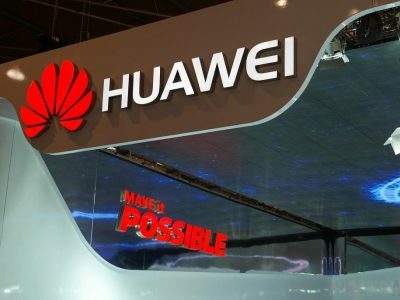 US Government officials have filed criminal charges against the Chinese smartphone maker Huawei who is already prevented from selling 5G technology to carriers in Australia because of fears of spying, the new charges include bank and wire fraud and come as concerns are raised over Huawei processors used in Australian security cameras. Questions have also been raised as to whether Australian Councils and Government departments are using security cameras that use Chinese made processors that can be used to spy on Australians. Huawei is set to be accused of stealing trade secrets, violating sanctions against Iran and that they sold equipment that could be used by the China’s Communist Party for spying. Acting Attorney General Matthew Whitaker, Homeland Secretary Kirstjen Nielsen, Commerce Secretary Wilbur Ross and FBI Director Christopher Wray will make a China-related enforcement announcement at 4.30pm [8.30am AEDT], according to the Justice Department. They’ll be joined by officials from the US attorneys’ offices in Brooklyn, New York and Seattle, which have been leading investigations into the alleged sanctions violations and theft of trade secrets. In the USA where sales of Huawei smartphones are banned local carrier T-Mobile had accused Huawei of sending its engineers to T-Mobile’s Bellevue, Washington, facility to see a robot, called ‘Tappy’, which simulates smartphone use. T-Mobile said in its lawsuit that Huawei was able to use stolen parts from the robot to “develop, improve and troubleshoot its own robot”. Separately, Huawei chief financial officer Meng Wanzhou, 46, the daughter of Huawei’s founder, was arrested December 1 on allegations that she committed fraud to sidestep sanctions against Iran. Now questions are being raised about the use of Chinese made security cameras in Australia. Pelco whose products are distributed by Schneider Electric, Anixter and BGW Technologies, in Australia was recently forced to lower their sales ambitions for their Professional 4K cameras because the device uses parts from HiSilicon, the chip division of Huawei Technologies who have been swept up in claims that the cameras with these processors could be used for spying. Currently most of the focus is on the use of Huawei communication and 5G gear which Vodafone also put on hold at the weekend. Now processors from the HiSilicon unit are also sparking concern because they power about 60 percent of surveillance cameras. 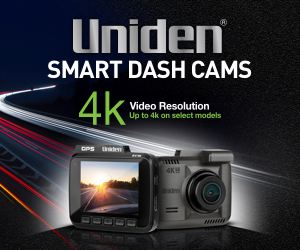 That means Chinese chips process video from cameras that sit in places as varied as shopping centres, pedestrian walkways, railway stations, airports and commercial offices, local council locations and banks across both Australia and the USA. Huawei has repeatedly denied its equipment is used for spying and says it isn’t a tool of China’s government. A HiSilicon representative didn’t respond to requests for comment. In Australia thousands of security cameras have Chinese processors. In the USA this has some legislators worried. A particular concern is that China’s highly-developed domestic surveillance capabilities could be turned against both Australia and the USA. Bloomberg reported that currently t here’s no evidence that cameras with HiSilicon chips have been used in this way. But they have pointed out that recent hacks show what’s possible. In 2016, cameras made by China’s Hangzhou Xiongmai Technology Co. were used to launch a cyberattack that severed internet access for millions of people. The incident stunned the camera industry, although such vulnerabilities haven’t been found with HiSilicon equipment, industry insiders say. What’s clear, though, is that HiSilicon chips are deeply embedded in a security camera supply chain that’s complex and hard to track. Industry blog IPVM reported in December that these Chinese components power tens of millions of western devices sold by household names including Honeywell International Cameras with HiSilicon chips are on sale widely through Amazon.com.